The International Monetary Fund (IMF) said on Monday it has lowered its forecast for Macedonia's 2017 economic growth to 1.9 percent from 3.2 percent projected previously. The IMF has also cut its forecast for Macedonia's economic growth in 2018 to 3.2 percent from 3.4 percent projected in April, it said in its Regional Economic Outlook report. In 2019, Macedonia’s economy is expected to expand by 3.4 percent, according to the IMF projection. The Fund also said in its Regional Economic Outlook report it expects Macedonia to swing to average annual inflation of 0.3 percent in 2017, from 0.2 percent deflation in 2016. Macedonia's inflation is seen at 2.6 percent in 2018 and 1.9 percent in 2019. The country's current account deficit is projected at 2.3 percent of GDP in 2017 and is expected to widen to 2.5 percent in 2018 and 2.8 percent in 2019. Unemployment is expected to gradually decrease from 23.4 percent in 2017 to 23.2 percent next year and 23.0 percent in 2019, according to the report. 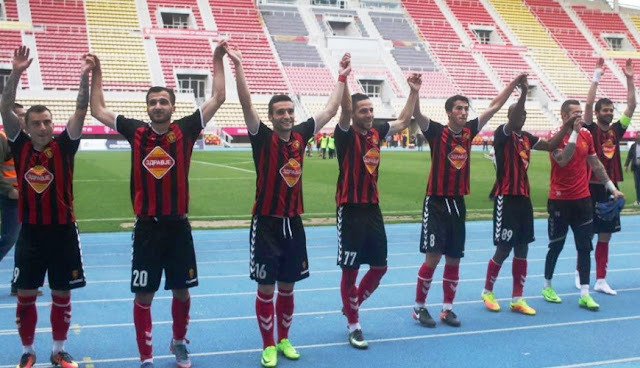 With the win over Makedonija GjP, Vardar even mathematically won the 2016/17 championship four rounds before the season end. Vardar had an easy task as they faced the last-placed team on the table, local rivals Makedonija Gjorche Petrov. All the red&black team needed to do was to win the game, no matter with how many goals and no matter the results from the match involving second-placed Shkendija. Vardar took the lead after only 6 minutes of play when Dejan Blazhevski converted a penalty kick, and untill the break they added two more clinching the title before half-time. The rest of the game was only a formality and ended with Vardar scoring a total of 6 goals. Vardar will be awarded the trophy in the last round.